Warning: I am long-winded and mushy because I wanna look back on this post when I’m 80yo and think about how awesome an experience and once in a lifetime opportunity it was. If you were a part of the tour PLEASE comment, link to your blogs or Instagrams or whatever so I can check in on you – I LOVED meeting every. single. one. of. the thousands of you on this 20 stop tour! So, that happened. Wow. 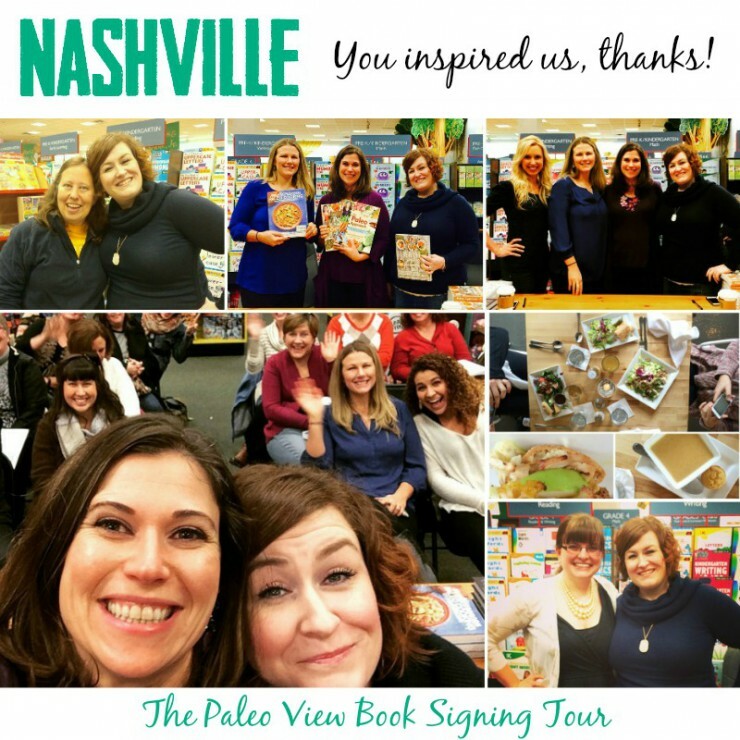 There aren’t enough words to describe what an awesome, amazing, overwhelming, and exhausting journey the Real Life Paleo Book Tour was. 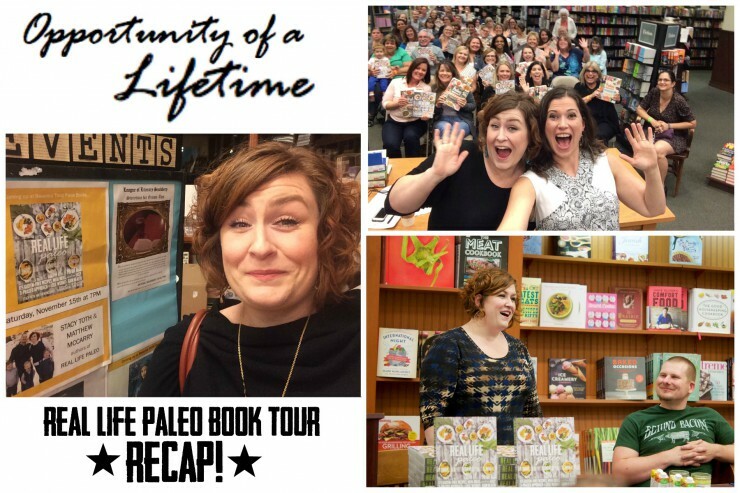 Having published 2 other books previously (plus 2 prior eBooks), having spoken at numerous public events, and been interviewed countless times – nothing prepared me for the emotional and physical journey of a book tour. 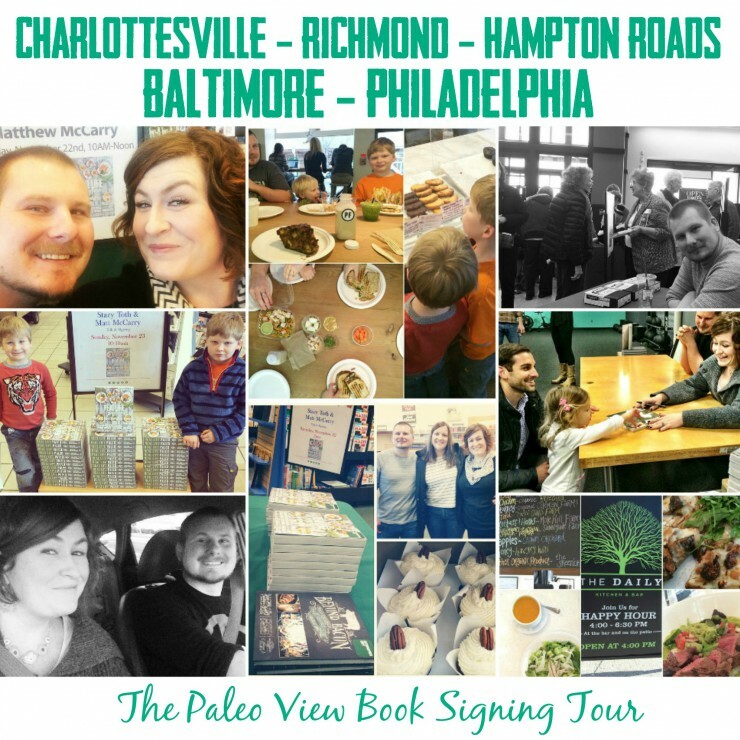 For those who are curious, I determined the book tour itinerary in tandem with both Matt and Sarah (The Paleo Mom). I coordinated the dates that each of them would join me on for the first leg of the tour, which was two weeks straight (and the only leg originally planned). Matt had 5 days, Sarah had about a week, and then I finished (gasp) by myself! I used several analytic tools to help me find where most of you all are, what cities people most commonly buy our books, and then what was easily accessible via major airports. It was then just putting a puzzle together to map out which stops were logical in sequential order and what airports had direct flights into others. 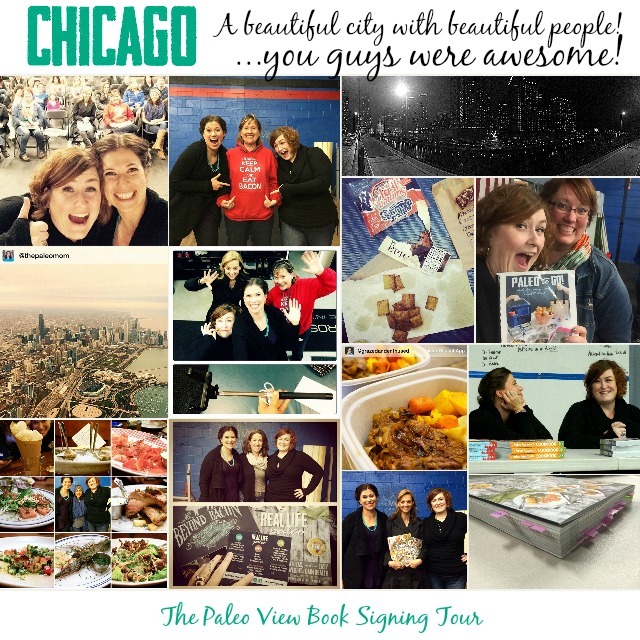 I was sad to not be able to make San Fransisco and Denver stops on the tour, but was thrilled to be able to fit in so many cities neither Sarah or I had yet been to (giving more of you an opportunity to meet us). Once the cities were determined, I reached out to friends in those areas to coordinate visits, checked out restaurants worthy of reservations, and worked to finalize bookstore locations with our publisher. This gave us a couple close calls that we definitely learned from (so sorry San Diego and Chicago especially), but what awesome communities and generous hosts to offer up their non-bookstore locations to us last minute and to everyone that still came out! 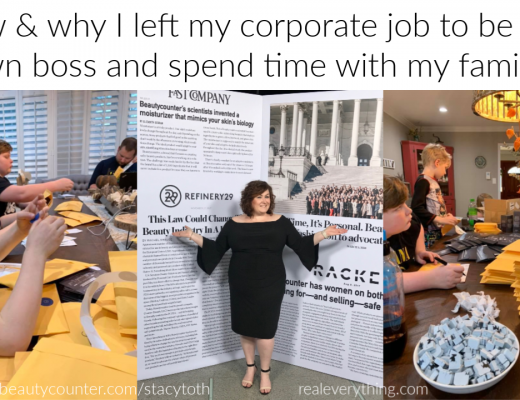 It was a lot to coordinate, especially while the weeks leading up to the tour were especially busy during my day job – but, I love spreadsheets, so you better believe there was an epic one to plan the tour! 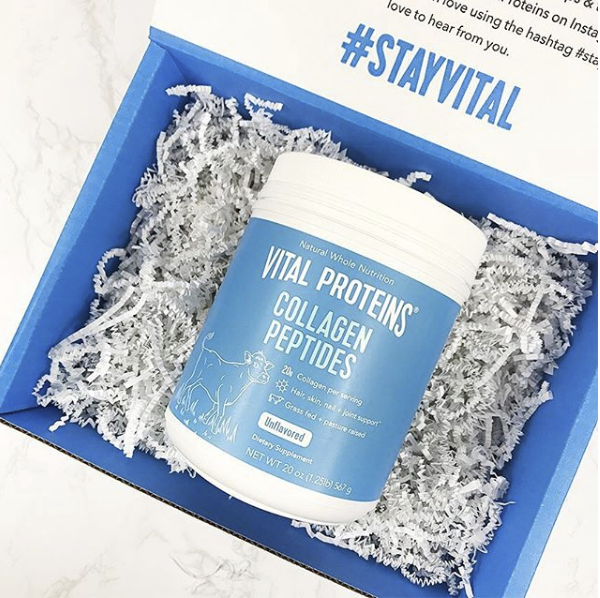 The tour actually kicked off a few days before the release of Real Life Paleo, when Sarah and I spoke at the Take Back Your Health conference in Arlington, VA. 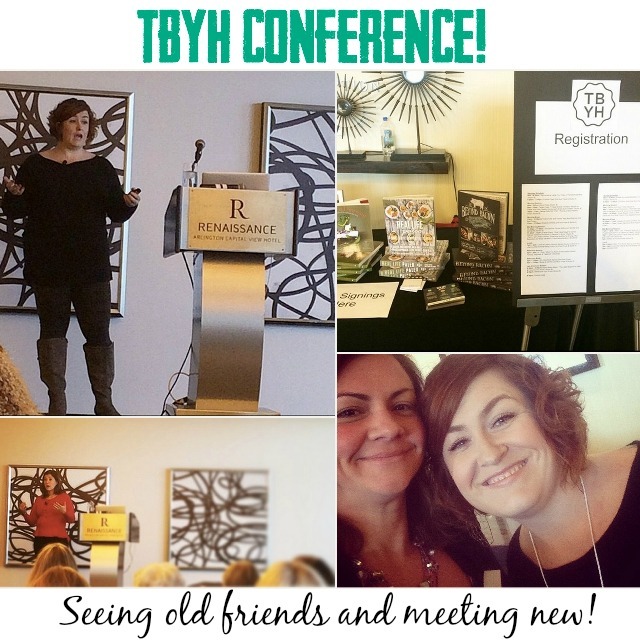 I was actually on TV promoting the conference that same week (remember this post about it)! Some lucky conference attendees got some early release copies of Real Life Paleo, and I got to share and sign them for the first time there! 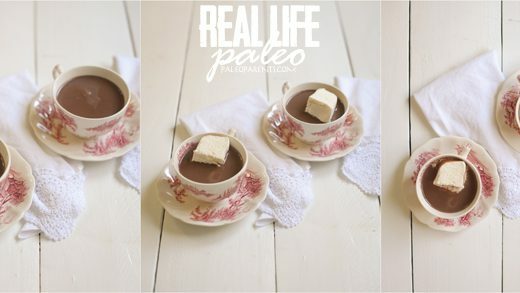 It was the first time I’d seen all of our books lined up like that – and Real Life Paleo did exactly what I hoped, in tying the two together in both philosophy and aesthetic. 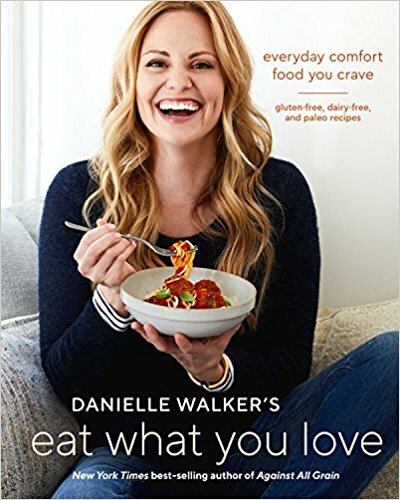 It truly is our everything book! 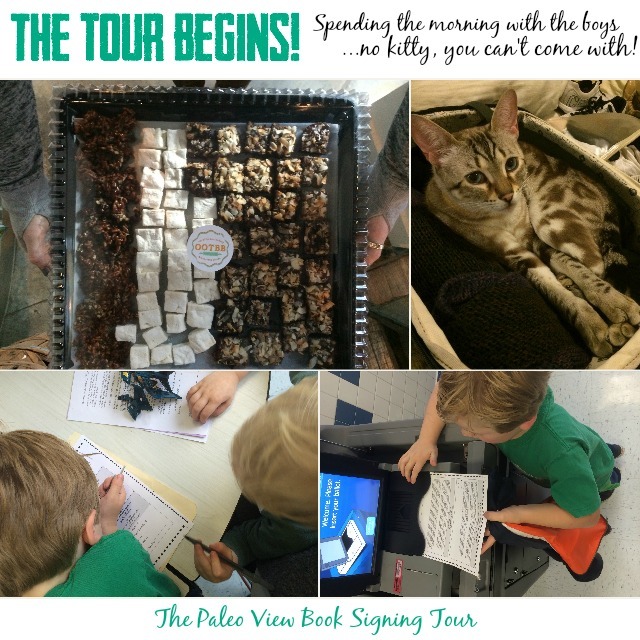 Then, Matt and I formally kicked off the tour on November 4th, release day (and also Election Day)! We voted… and then headed to Bethesda, MD with the boys, where we served Out of the Box Bakery treats (who had made recipes from Real Life Paleo!) 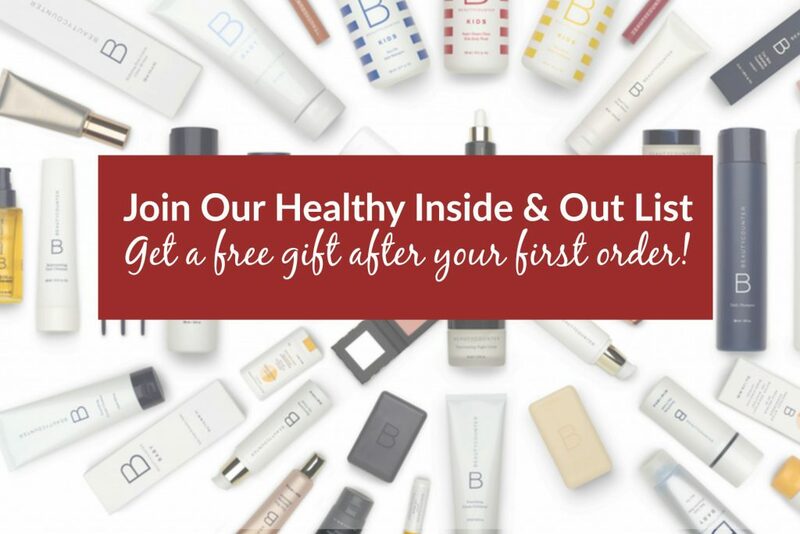 as well as handed out door prizes from generous vendors like Exo Protein, Pacific Foods Bone Broth, Paleo Treats, and Pure Indian Foods Ghee. In attendance were our more local friends as well, Brent and Heather from Virginia Is for Hunter-Gatherers and Nicole from Merit and Fork! I have two favorite moments from that night, other than how awesome everyone coming was: 1) Cole was there and got really into the event, at one point literally popping up between Matt & I to talk about his own health and behavioral improvements since going Paleo, and 2) being at the celebratory release dinner with family and friends where the restaurant was informed the table was gluten-free, only to have my dad call over the waiter for some “real bread”. It’s my life goal to convert that man, eventually! And that was the last hour I saw the kids for two whole weeks! It was torture being away from the family so long, but certainly made better by getting to meet so many of you. Columbus was a fantastic way to begin jet-setting. We were super lucky our long-time friend Patti generously offered to host us, even letting me get sweaty with some body weight activity in her basement! This was at the beginning when I still had my wits about me, had a sleep reserve built-up, and was under the impression I would be able to keep up training the entire time. Don’t worry, I learned that was going to be impossible quickly – but, not before I enjoyed treats from the mothership (Jeni’s grass-fed ice cream) and One Strong Cookie brownies (a gift from an attendee)! Because we had use of a kitchen, Matt and I got some food from Trader Joe’s to last the 24 hours we were in Ohio and had leftovers for breakfast the next day. We were still on cloud 9 from a great turn-out and passionate attendees, some who had driven hours on a school night with their entire family to be there! It was such a wow moment for us – thank you! Traffic getting to the event from our hotel was uber-bad (wait for the pun), we had dinner reservations at a highly recommended fancy place… but trying to get across town at rush hour was insane. We ended up telling our Uber to turn around and take us to the signing for fear of being late, making the AMRAP and EPIC Bars in my purse a fantastic save until we had dinner after the event! Perhaps it was the traffic, but Florida ended up being a relatively small crowd. 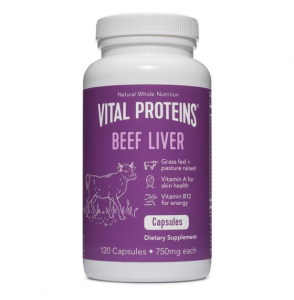 Rumor is, Florida folks fall into two categories – a) home bodies with good intentions that fall flat, or b) party animals with more important things to do than Paleo book signings! The great thing was that it was fantastic to get to be so intimate with people, answer a lot of questions, and get to really know many of you. We were lucky enough to befriend Amanda from The Curious Coconut who graciously drove us back to the hotel, after we got a high quality burger, gluten-free bun, and some tallow fries! Our third stop via plane tour was at Raleigh-Durham, NC. The weather was mild and great and at this point Matt and I were getting into a grove of finding good places to eat, arriving on time (amazing how easy that is without kids! ), and a bit of a speaking routine together. The North Carolina crew was amazing, and if I recall we ran out of chairs but people stood and listened to the talk before standing in line to get their books signed. 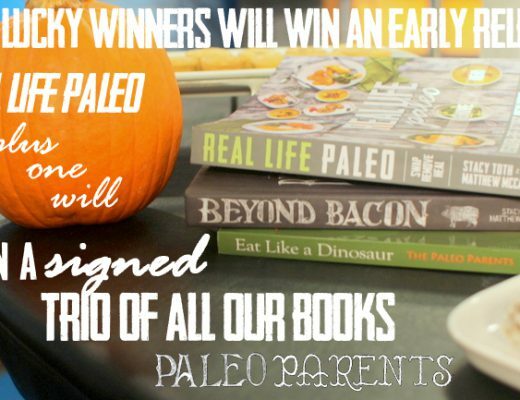 I also loved seeing that Real Life Paleo was already in some people’s hands by this point, flagged and even splattered with lard – just the way every cookbook author loves to find their books! 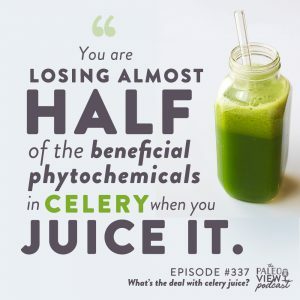 After words we did a short interview with FitMomsandFullPlates, whose blog I’ve enjoyed reading since! Matt and I were off to bed early that night, up early for a long day of travel – by both air and land – to New York City. This day of the tour was tiring for me, and I remember meeting up with Sarah – who was fresh and excited – and saying, “you just wait”. I was starting to miss my daily routine, especially quality food and sleep. But NYC was an amazing re-charge with a spectacularly supportive audience, who had more patience than a Jedi Master during our cooking demo. Also, they brought gifts. Because, how awesome – right?! I made out with Spiced Pumpkin Pie with Sweet Potato Flour and Lard crust by Beyond the Bite (who guest posted for us here). And several people brought us broth, some even from the newly famed Brodo! Of course, the boys LOVED the books they were gifted, too! 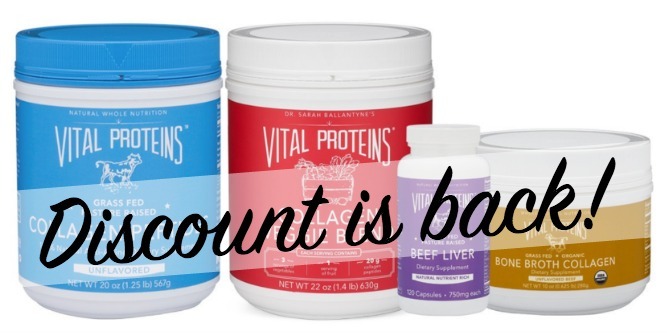 If you followed along in media you know that half our ingredients were missing, and even more were just plain wrong (such as “lard” being sourced as “Crisco”). Fortunately, we’re a roll-with-it crowd and had Stefani Ruper to keep the crowd entertained while Matt, Sarah and I attempted to recover partial ingredients into food the audience could enjoy. 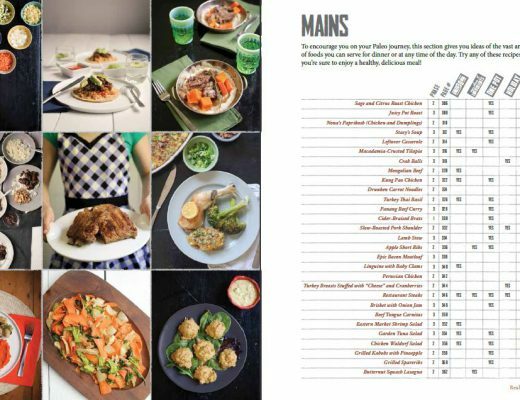 Eventually everyone got food and I heard from more than one person they ended up buying a copy of Real Life Paleo BECAUSE of how amazing the Cauli-Gnocchi with Lemon and Brussel Sprouts were… so, yeah. Make that. And double the dough to make the Garlic Breadsticks or Chicken & Dumplings later, since it’s all the same! 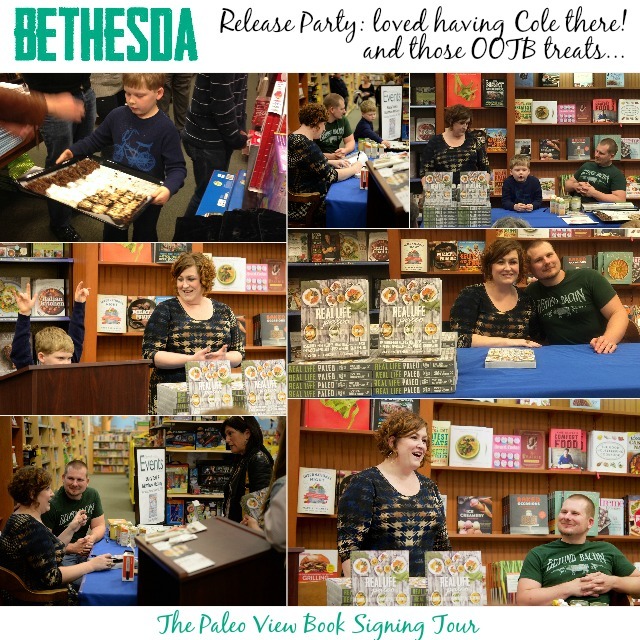 Unfortunately, after the signing Matt had to head home to wrangle our boys, who were definitely ready for his return (Sam, our Paleo Sitter posted about watching them here). But it meant that Sarah and I were off on the rest of the tour on our own. New York City allowed for some fun, too! She had already informed me tattoos weren’t an option on the tour, so instead we opted for the top of the Empire State Building, something I’d never done before – despite a dozen trips to the city! We also ate out at the famed paleo restaurant, Hu Kitchen (side note: their chocolate is crazy good and available to buy discounted online here) with some fellow bloggers and signing attendees (one of whom guest blogged about the event here and two others can be found here and here). In NYC I received my first long hand-written note from this young woman, Sarah of Primal Bites. I wasn’t even aware of it during the dinner we shared at Hu, but once I read it back at the hotel room I was instantly bonded and we’ve been friends since! I got so many wonderful thoughtful, heartfelt gifts and notes along the entire book tour and continue to treasure each and every one of them. Except the ones I ate… but my body still treasures the homemade nutrient-dense foods and thanks you, because there’s no way I would have made that trip in one piece without all the broth people brought me! After NYC Sarah and I flew off to Chicago, the city that totally stole my heart. I’d never been before, but cannot wait to go back. It was so clean, full of old and new culture, and just down right gorgeous. Best of all.. the FOOD! I just wanted to eat my way through the city… which I kind of did. Although we had some logistical problems finding a book store to accommodate our crowd, we couldn’t be more grateful for all those who came out to the generous and kind, but very cold, CrossFit box that hosted us. Everyone in Chicago was SO nice. I guess it’s a middle-of-the-country thing because it was certainly new for me – even our Uber driver graciously became a tour guide and happily took us sight seeing when we told him we were authors in town for one night and hadn’t seen the city at all! At the event, I wish we would have figured out a book store location for everyone’s convenience, but I loved the intimate environment and getting to talk to so many new and seasoned attendees, including Alaena of Grazed and Enthused (who blogged her recap here) and was just downright adorable and fortunately joined us for our dinner at Publican, which was one of the best meals (and service) I’ve ever had in my life. 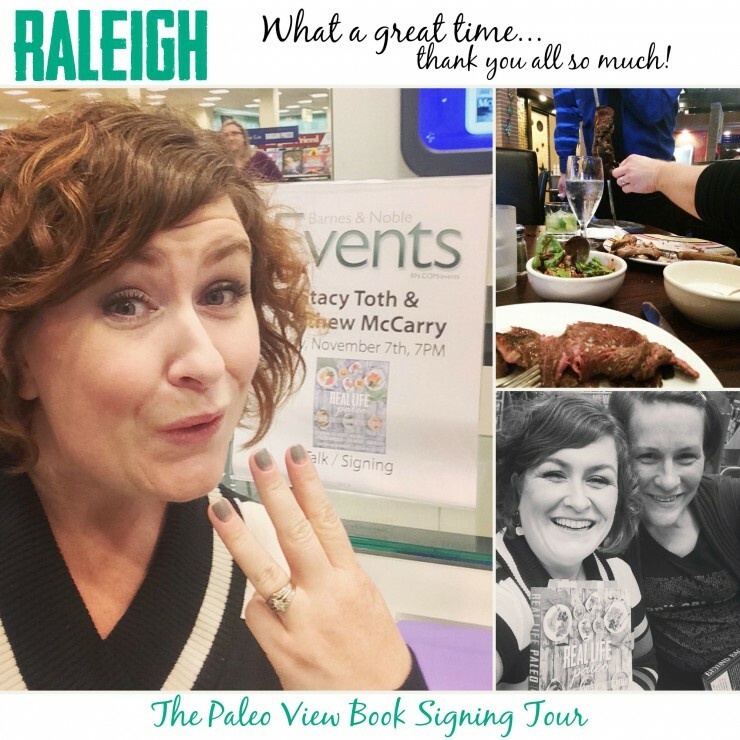 We also got to meet a TON of other enthusiastic, fantastic people at this event, one of whom gifted Sarah the infamous selfie pole and another who brought me the first “print” copy of Paleo to Go I’ve ever seen! Again, they won our hearts with homemade food (that we desperately needed at the time), laughter, and other gifts! This heartfelt post made me tear up, just goes to show how we can each be impacting others’ lives and not even know it! In Chicago we learned about the first “blizzard” of 2014, which prevented us from attending our scheduled Minneapolis event. I was heartbroken at the time, as I was really looking forward to the people and events I had planned for that day. But, it meant an extra day in Atlanta, which was super convenience since that’s where Sarah lives! It was a great opportunity to really get to know her family and recharge, mentally and physically for the last week! Sarah treated me like a queen, feeding me amazing home-cooked food (in particular, I craved waffles from having smelled them for days in hotel lobbies and the ones she made were fantastic). The signing itself was also fantastic; such wonderful, warm, funny people – and the book store manager told us we were his favorite authors ever (Sarah and I NEVER get tired of hearing that)! Also, I think this event had the biggest representation of STRONG lifting women, so good on ya beast ladies of Atlanta! The highlight of the night for me, however, was having my own celebrity-crush moment when an attendee informed me that she went to a mommy’s group with THE JUDITH twins from Walking Dead. Of course Sarah didn’t even know what I was talking about, but don’t worry – I fan-girl geeked-out about zombie culture in the ATL for at least 10 minutes before the formal start of the talk! 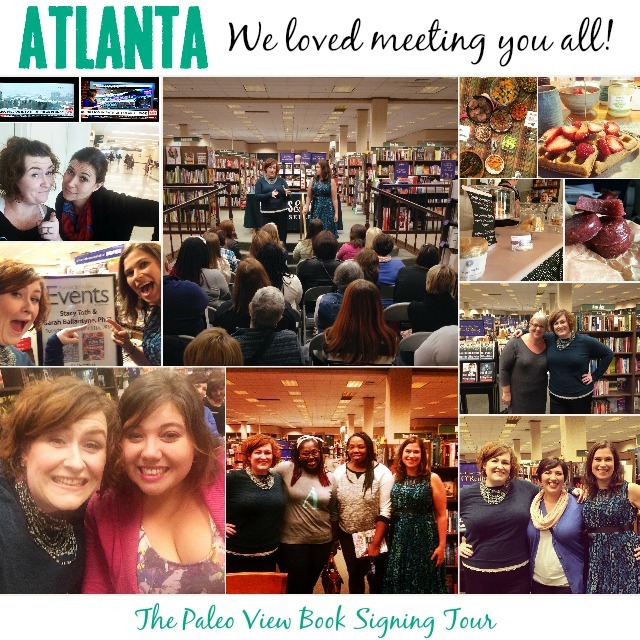 We left Atlanta recharged, enthusiastic, and ready to take on the west coast! 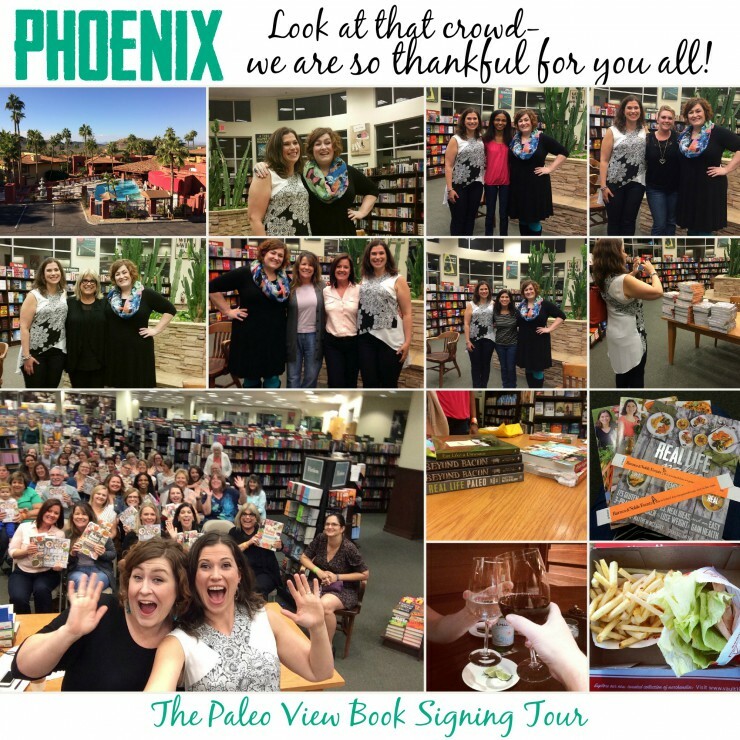 Pheonix, AZ was up next – and Sarah and I didn’t know what to expect since no Paleo people had ever been there before! Matt booked us a spectacular hotel, so we figured worst case scenario we’d hang out there if the event was an epic fail. Of course it wasn’t, because Pheonix was awesome! 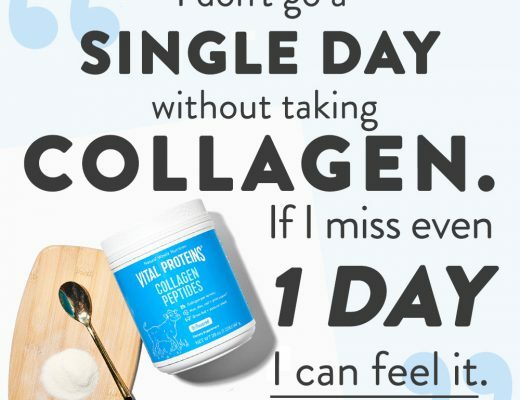 Not only were there so many people, but they were super excited, energetic, enthused and many had brought friends they were pulling onto the paleo bandwagon, too. I LOVED meeting the “recovered vegetarian” who asked me about the best ways to get over the idea of eating beyond the limited cuts she could mentally embrace (bacon, chicken breast, fish). 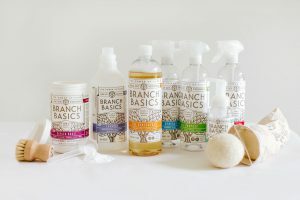 When I discussed how we wrote Beyond Bacon, after being a vegetarian for 7 years, because of my passion for sustainable, humanely-raised meat that respects the whole animal by using every part, I could see a light bulb go off in her head. It was one of many ah-ha moments that night! The poor store stayed open after closing to accommodate the long line of talkative, excited attendees – thank you to everyone who came out and waited so patiently! That day was also the day I introduced Sarah to In ‘n Out with bunless burgers, through which our Uber driver graciously drove-thru on our arrival into town. 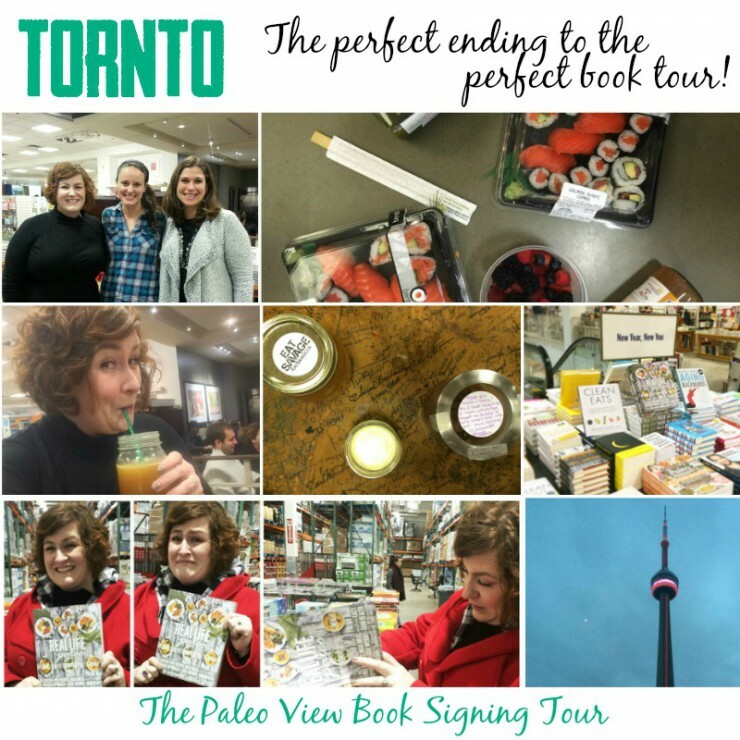 Later that evening Sarah and I celebrated the news that I’d found out Real Life Paleo was picked up in ALL English-speaking Canadian Costcos and made Canada’s bestseller’s list. All in all, I don’t know how it could have been any better. Remember in Columbus, OH when I had grandiose ideas of working out… and then here I am this many days later before it actually happened again! But, with the move to the west coast Sarah and I gained a few hours in our day – which we used for resting – before jumping into the gym to lift heavy things with Steph of Stupid Easy Paleo. We also had lunch with Paleo Foodie Kitchen and had soup and downtime at the gorgeous hilltop home of my long-time friend, Amber (who’s currently doing a Whole30, rock on girl!) who had lovingly made us homemade stock and had kombucha available! Before long, however, it was time to get to the signing. Well, I mean, not that we were on time. Ugh, OK. I admit it, we were late to this one. Sorry, San Diego! Maps had us go to the wrong part of town, and it wasn’t at a book store we could easily look up. Fortunately Dr. Lo talked us through how to get to her Shine clinic, where we were grateful for such beautiful weather for the outdoor event. I may have spent half the portion of the session making googley eyes and pinching the thighs of Pete’s Paleo‘s baby. 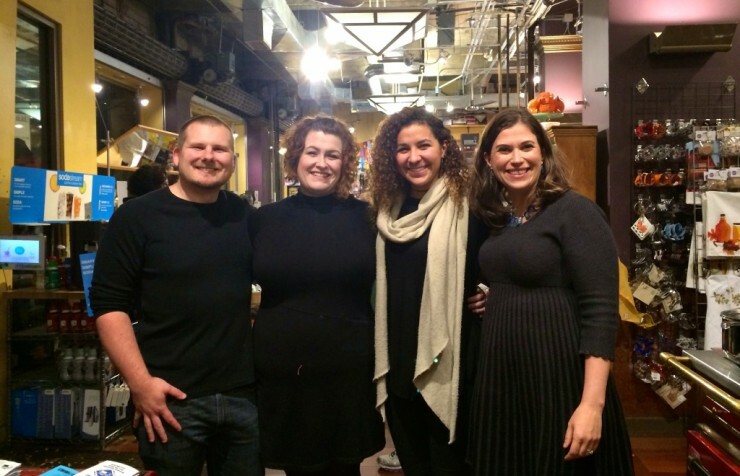 We got to meet a lot of fantastic bloggers and friends at this event, like Steph, Kelly from Spunky Coconut, Sean Croxton, Pete’s Paleo, and more – many of whom we had dinner out with after! 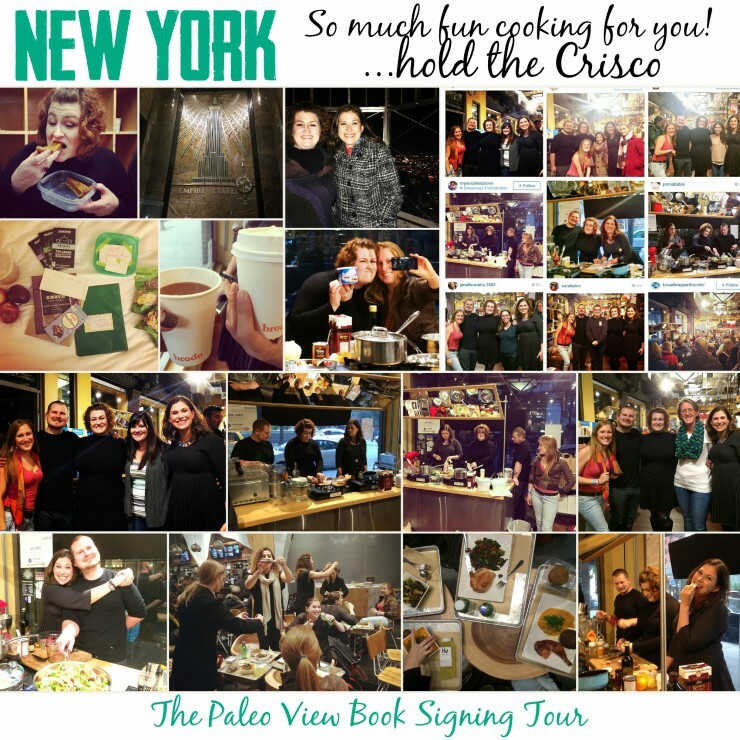 I also got to sign a LOT of books for Chosen Foods, who are currently selling SIGNED copies with our favorite avocado oil on their site! Bright and early the next day we headed up the coast to Portland, OR. I had never been and was SO excited to go! We had an amazing, huge, fun, energetic crowd, and a wonderful host store able to accommodate them all. From throwing Exo bars at people who asked good questions (one of whom caught it with a baby still nursing on her, that’s skills!) to getting to meet and hear so many amazing stories – it was truly an unforgettable experience. I loved reading these attendee recaps here and here. 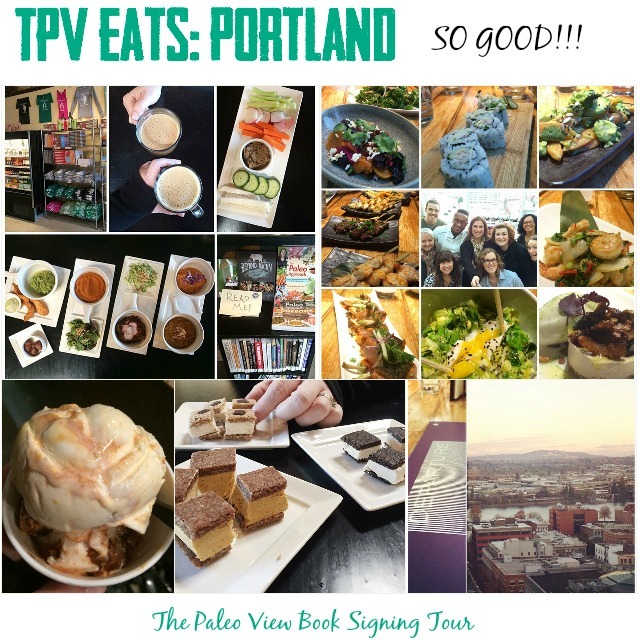 One of the absolute best parts of the tour was getting to eating our way through Portland! We were graciously hosted by Mickey from Autoimmune-Paleo, and she took us to Cultured Caveman for brunch, followed by Chef Gregory’s Departure for dinner. The food, the service, the amazing humble, loving, attitudes of the hosts – it was IN the food they served. 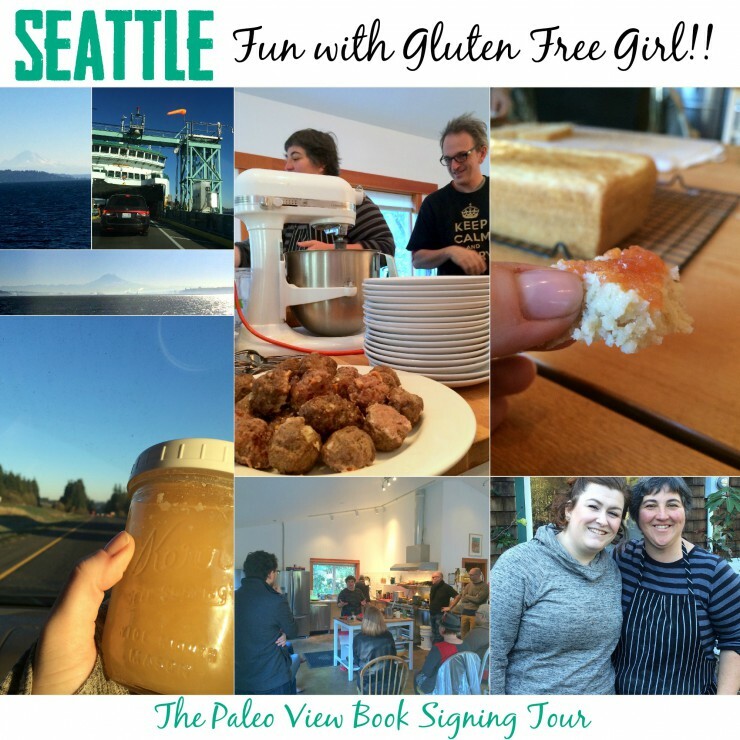 We were so lucky to spend the day with Heather and Joe, Kelly from A Girl Worth Saving (see her recent guest post here), Holly from PaleoPDX and Chef Gregory (who I am obsessed with on this season of Top Chef). Although incredibly exhausted by this point, I was well taken care of and well fed to face the last stop – all by myself! The next morning, Mickey and I set out (via land, not air) to Seattle. This drive was just fantastic. It was a great opportunity to do a bit of “sight seeing” of the gorgeous pacific north west. I’ve always said that if I didn’t have all of my family here in the Northern Virginia area that’s where I’d want to move – and that feeling was validated being immersed in it’s beauty and culture. The drive to Seattle only got better when Mickey and I took a ferry to the island of Vashon, to meet-up with and hang out with Gluten-Free Girl! 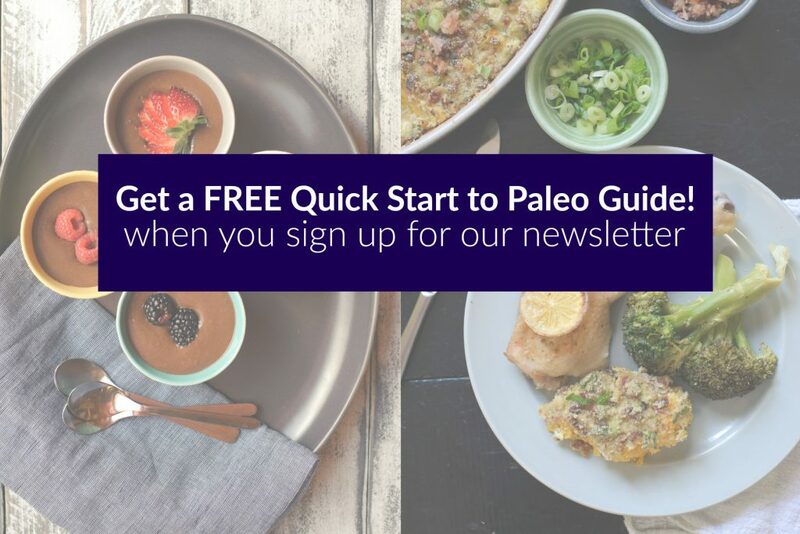 The original plan was a big brunch out of Real Life Paleo, but with the hustle and bustle of their recent Kickstarter Shauna was hosting a cooking class that day – which Mickey and I got to sit in on… and then enjoy the food they made! It was wonderful and relaxing on the island, but a busy day ahead awaited. One of my dear, dear long-lost-on-the-west-coast-college buddies lived in Seattle so Mickey and Daynah traded off chaperoning me. I was so thankful Daynah was my date for Seattle, because I was more than a little scared of my first and only appearance ever made alone! Much to my, very pleasant surprise, after an afternoon of relaxing, good coffee, amazing food, and catching up with my friend – we headed to what turned out to be a great signing, followed by an equally amazing evening. The crowd was great, as were the questions. 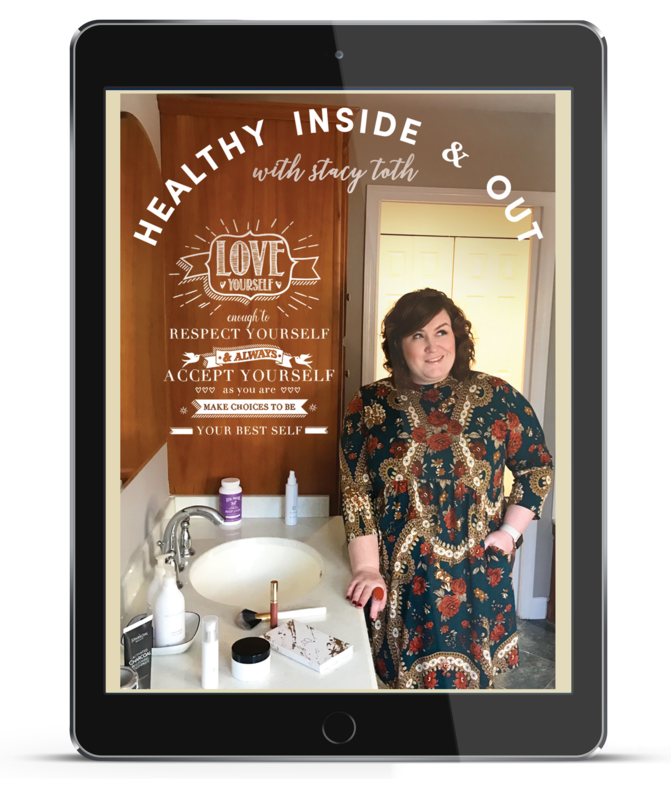 It was interesting the different kind of questions when it’s just me, for example, I LOVED being able to get on my soapbox on all the things know people know I’m passionate about – like health at any size and focusing on self respect through good choices, rather than self love as a justification for bad ones. 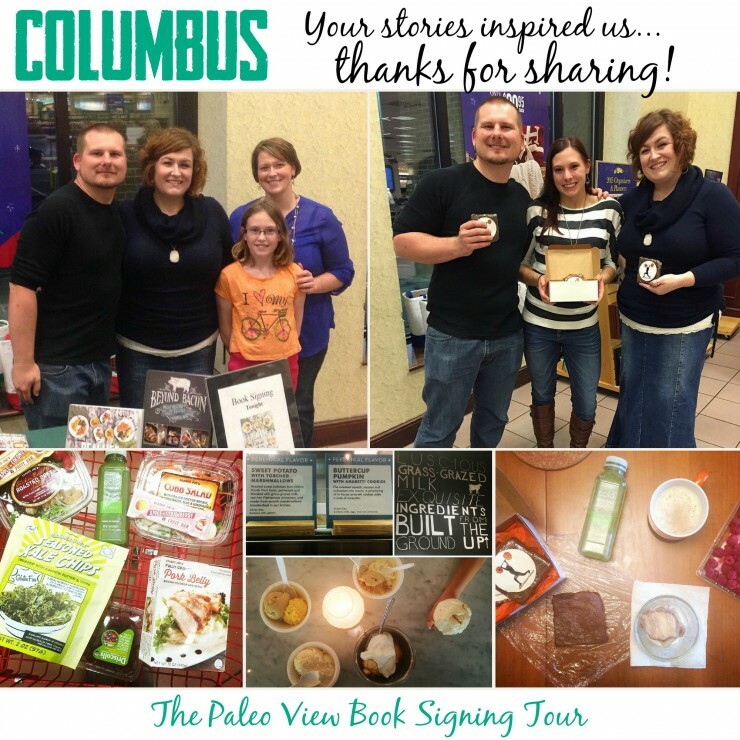 After the signing I loved hanging out with local bloggers, such as Ciarra of Popular Paleo, She Thrives, Everyday Maven and Mickey for some gluten-free treats and almond milk lattes in the adjoining cafe. Then Daynah took me out on the town – since I was headed home the next day – to an amazing food exhibit put on the people of Modern Cuisine for a scenesters-birthday party. 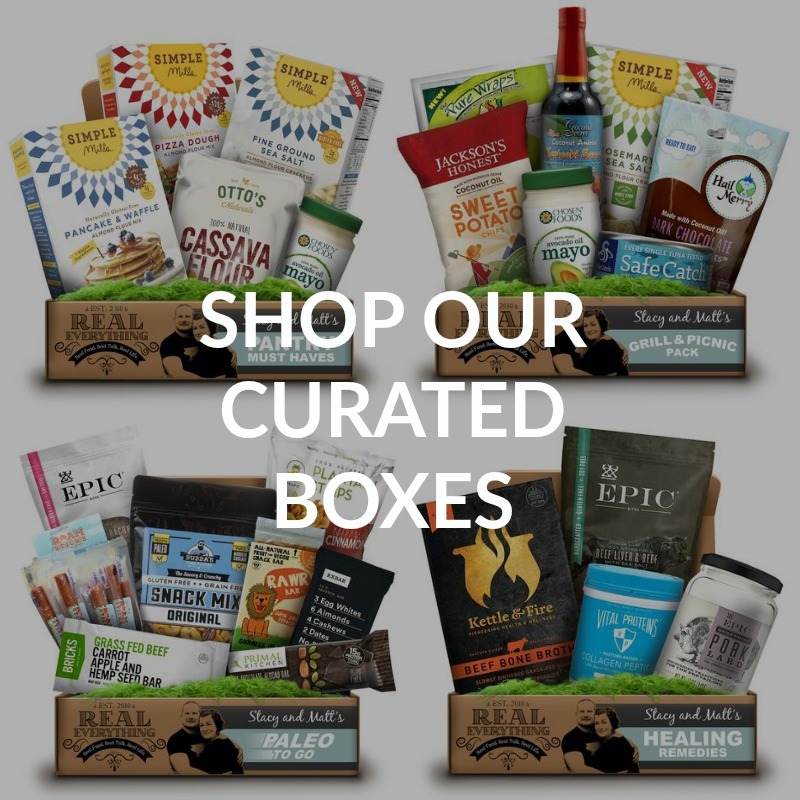 But on our way we decided we needed to bring a gift of wine… and while at the local Whole Foods I found Real Life Paleo set-up for all who enter to peruse right in the middle of the front display! Srsly. Is this real life? Whew. After all that, you better believe I was exhausted and ready for a giant snuggle pile with all my boys. I’d love to tell you I rested up, but the very next day I was back to work in my office day job, extremely busy from playing catch-up. Then the following weekend we went out as a family, for a round of regional driveable events! I wasn’t nearly as good about taking pictures, since it was FIVE cities in THREE DAYS and I was also being a mom… But, Charlottesville, Richmond, Hampton Roads, Baltimore, and Philadelphia were all a fantastic blur. We hurriedly planned these events a bit last minute so the crowds were smaller and much more conversational in nature. But the people fantastic to spend time with and the stores were fantastic hosts – and best of all, I had the boys with me all along the way! I got to finally take them to Pure Fare, found Peet’s with almond milk at a Travel Service Plaza and shared some amazing memories with the boys. As I noted earlier, we had a weather disaster and were unable to attend the Minneapolis event. When we reschedule and found out the book store wanted us for a weekend, it was a great opportunity to tag on a couple more cities while Sarah and I were out-and-about. Because of Canada’s amazing support I insisted we go to Toronto – and Sarah (a Canadian) was happy to oblige. We were debating a final city when Catilin from Grass Fed Girl offered up her home and chaperoning skills – which (especially considering it’s temperate climate) secured Nashville, TN as our final leg of the tour. Fortunately, we’d taken time over the holidays to rest and recover, and Sarah and I tackled the tour with gusto and enthusiasm – which is also what the fantastic crowds brought to each event! I was sad to miss the Ladies Lift Here Ice Queen Strong Woman contest, but if anything was worth missing it for – it was this last leg of the tour. What a cherry on an epic sundae! Nashville was a standing-room event and the crowd was great. We even talked a woman into trying cricket! 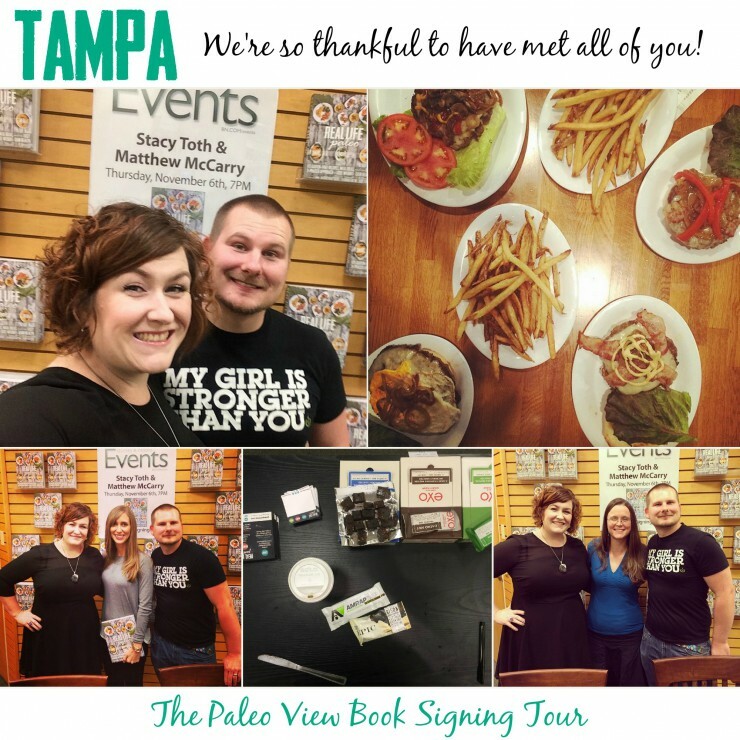 I was thrilled to find out Primal Bites (remember my new friendship above) was in town and able to join Caitlin and I for lunch and at the signing. Caitlin was a fantastic tour-guide and the low-down on all the best food in Nashville. 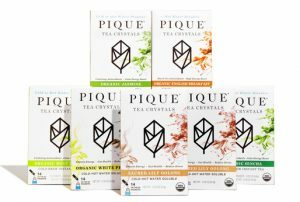 Her blog was named one of the city’s best food blogs, and I know why! She even took me to Jeni’s (I guess it’s not a secret I like ice cream as a treat) and that same restaurant roasts it’s own coffee then ages it in gin barrels. GIN COFFEE, you guys. The next early we were up bright eye and bushy tailed for Minneapolis, the city that did NOT disappoint. 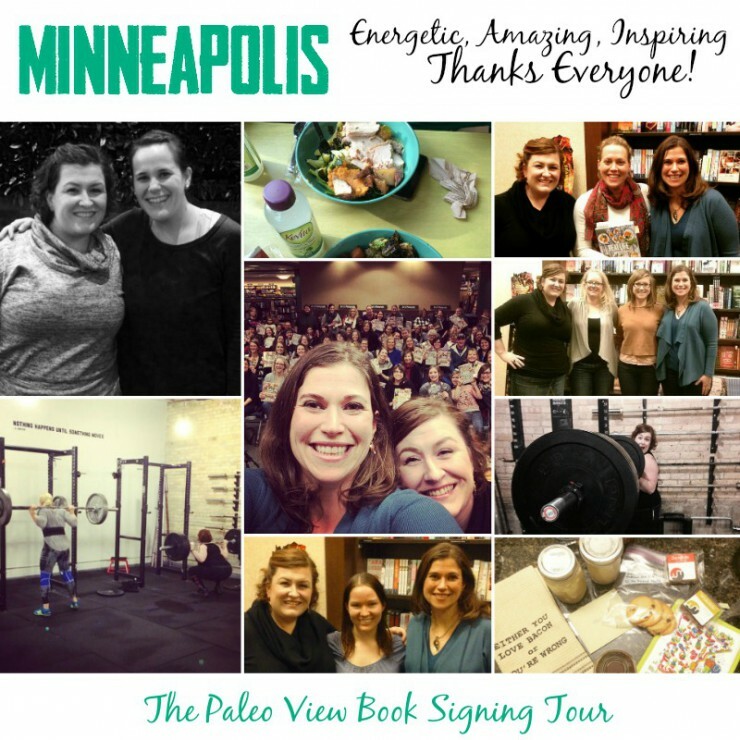 Much like Phoenix, Minneapolis has had very few Paleo events held there – but they have a HUGE Paleo culture! 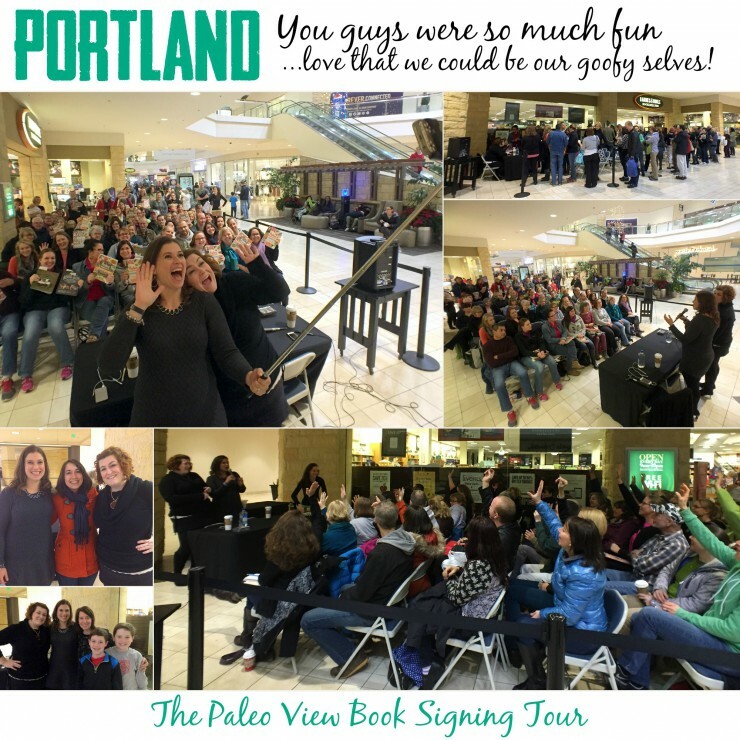 The crowd here rivaled that of Portland, which is KNOWN for it’s huge Paleo culture – it was a phenomenal day, and the crowd energy elevated Sarah and I’s spirits tremendously to unprecedented levels! To everyone who gave me AMAZING gifts, THANK YOU. I managed to either eat, drink, or stuff them all in my suitcase – a feat I wasn’t sure I could accomplish! 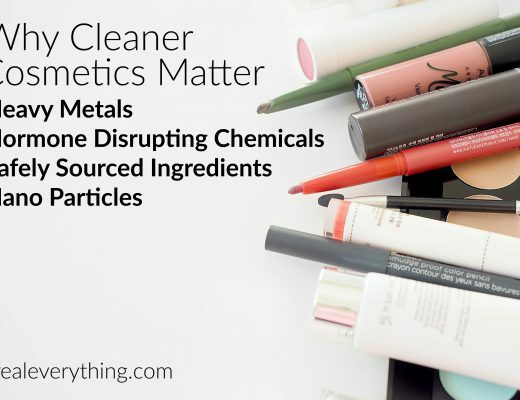 If you’re looking for a like-minded community, you’ll find it here. 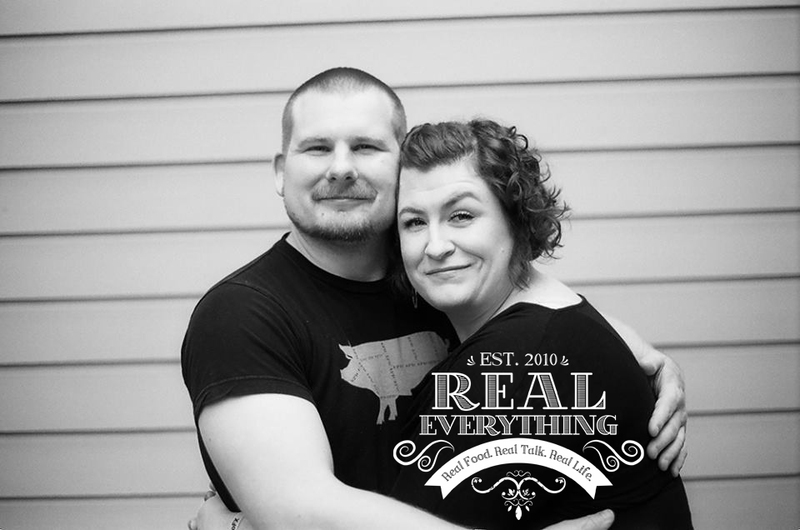 With restaurants noting Paleo on the menu, to the amazing Jen Sinkler at Movement Minneapolis, to one of our favorite paleo products – the real food force is strong in MN! Other things awesome about MN: everyone is tall (our B&N rep said it’s the Nordic farmer genetics, but seriously – all those tall women need to go get strong at MM with Jen)! Our very own team member Monica, who has worked for us for over 2 years, lives there and we FINALLY got to meet. I call her boys my nephews (and her my sister wife, but it’s just a joke – people), so it was AMAZING to get to have some face-to-face time with her! Alas, our time was so short in this cold city – but how lucky we were that we were there the day after and the day before a storm! And the same was true with Toronto – it was risky traveling North in January, but so worthwhile and wonderful! If there’s a city that stole my heart, it was Toronto. And I was only there for 6 hours. We flew in and out on a Sunday, which was disappointing because I would have loved to dine and explore more. But the people – holy moly were the people so nice, and genuine! I’ve NEVER given that many hugs at an event. And despite some logistical challenges (including a slick rain that turned into an ice storm while we were flying out), everyone was upbeat and happy to be there. 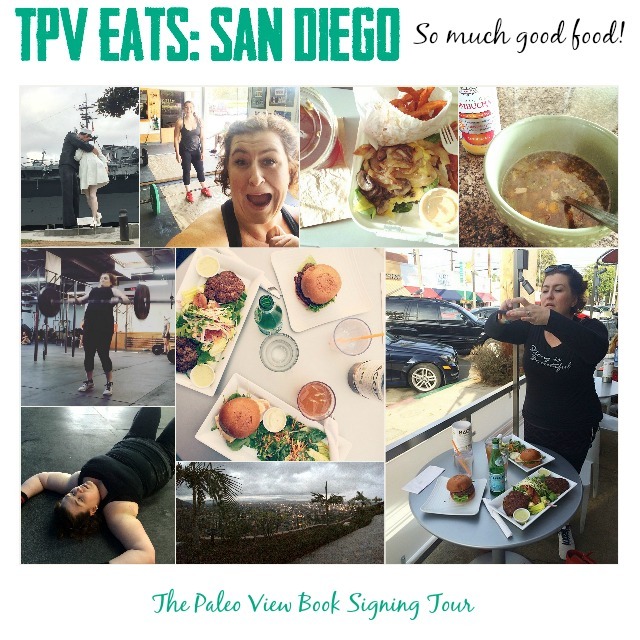 The store that hosted us had an incredible table they had all authors sign, and I got goosebumps when I realized my signature was next to Danielle Walker, Amy Poehler, and Jennifer Weiner (have you read her yet? do it! p.s. all the best lady writers put a ♥ with their signature, evidently)! And as if the amazing crowd, who again overflowed my bag with amazing gifts like broth and fruit gummies, wasn’t enough – we were able to drive by a Costco on our way to the airport! You know… where our book is. My DREAM. You can read more about it here, but I had a really incredible, deep, personal moment when I saw our book there. It was magic I have no words for. So I’ll end by saying, thank you. To everyone. It was YOU ALL that made this tour from one of the best opportunities of my life into a reality I couldn’t have imagined. To each person who hosted us, chaperoned us, helped us with rides, hotels, restaurants, events, or attended – I cannot possibly express my deep gratitude. 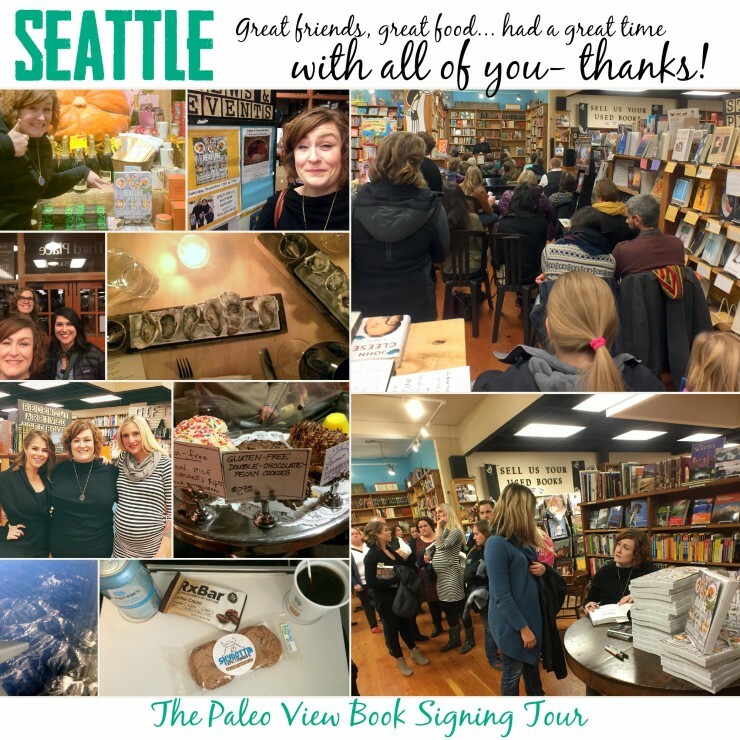 I’m blown away by the collaborative, heartfelt, supportive community that Paleo has brought into my life and it was an honor to be able to meet so many of you in person. 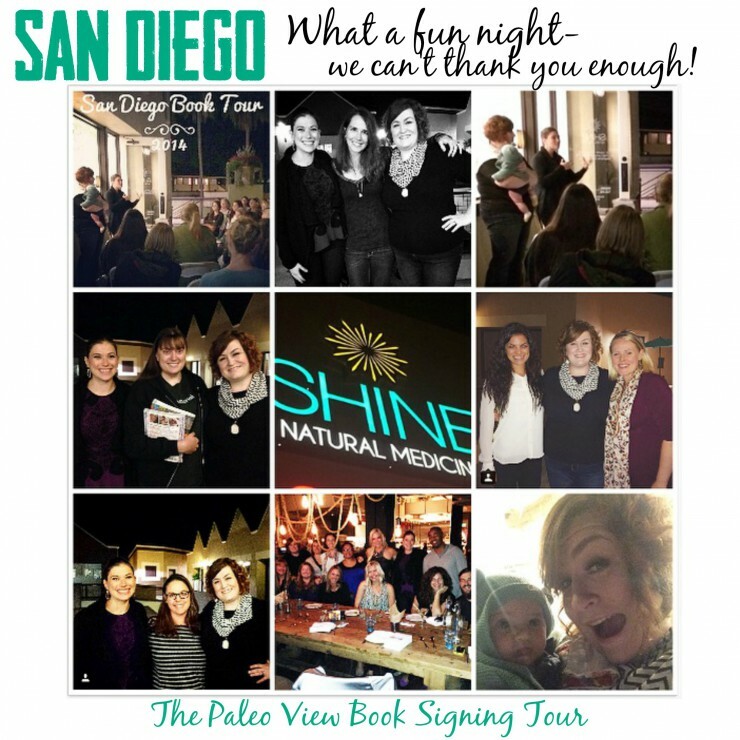 Read even more about the tour on The Paleo Mom’s post here. If you’re looking for signed copies of our books, many of the cities kept stock behind and if you e-mail the team they can put you in touch with our point of contact there!